I am having such a good time using my accuquilt. It cuts layers of fabric with precision. 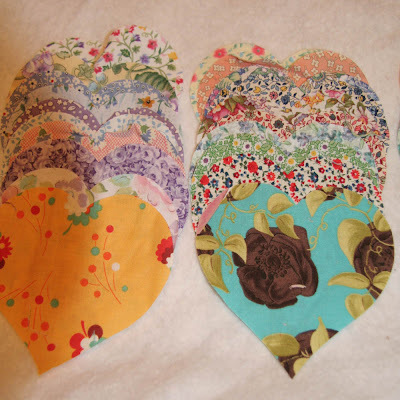 I just listed these heart and butterfly bundles (50) on my etsy site. I see a charm quilt in my future with some of these. 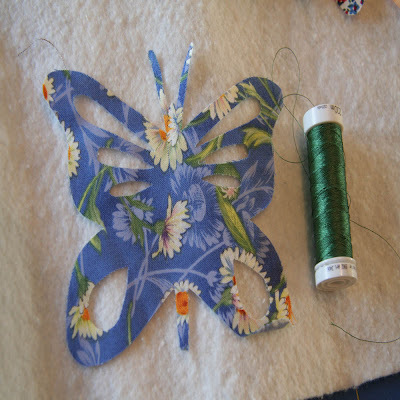 I also have a smaller butterfly that I have not cut yet that I think will be cute to use with the large one. 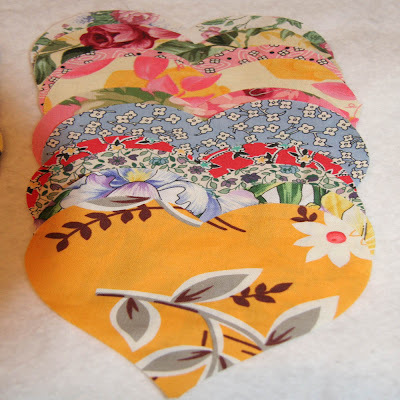 I just love scrappy quilts, so I think this is going to be fun, fun, fun! On my way to go buy some heat and bond. Oh my...when I first saw those, I thought you cut them out by hand....yipes...I love them and it would make such a pretty appliqued quilt! What a neat post with all these cut outs. I love all the butterflies. I got your give away package in the mail with 2 of those butterflies. I am so lucky and thank you so much...I love my gift! Oh I love these! I can't wait to see them all quilted up! What a great idea. Too pretty! 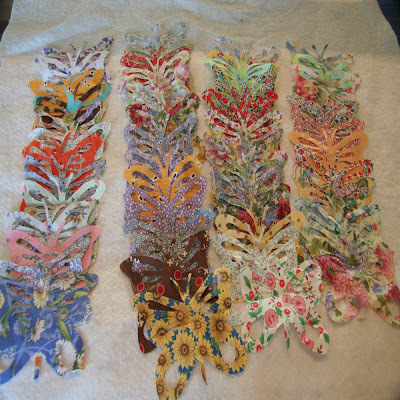 Don't you wish you could applique as fast as you cut?